These are every highlight I made on my kindle when reading How Google Works, which is probably THE best business book that was published in 2014 (and to date, for that matter). I tried to organize them all, but it’s just too much stuff, so I’ll leave you to it. The Internet has decimated traditional media business models, but new ones have and will continue to emerge in their place. The result will be a much bigger, more fragmented and chaotic market for creators and endless choices for consumers. Just bringing even a basic level of information transparency to health care could have a tremendous positive impact, lowering costs and improving outcomes. Health-care consumers suffer from a dearth of information: They have virtually no data on procedural outcomes and doctor and hospital performance, and often have a hard time accessing their own health data, especially if it is held by different institutions. Computers push humans to get even better, and humans then program even smarter computers. This is clearly happening in chess; why not in other pursuits? The beauty of speed, however, is in the eye of the beholder: It seems like a bad thing when you are being disrupted, since it is all upon you so quickly. But when you are building new ventures, the acceleration of everything works in your favor. industries blow up and get re-formed, incumbents adapt or wilt, and new ventures grow, powered by visionary leaders and their ambitious smart colleagues, things will get better. Education is going to change, and governments should favor disruption over incumbency (currently, they tend to do just the opposite). Technology platforms will help us identify our individual strengths and weaknesses with greater precision, and provide us with educational options customized to what we want to do. Any company that wants to build a new venture needs to ask itself the question: Do I go to the smart creatives, or find a way to get them to come to me? Incumbents usually fail to understand how quickly they can be disrupted, but asking these questions can help them discover the reality. – This is the new reality isn’t it? Who does better in the company, information hoarders or routers? Do silos prevent the free flow of information and people? 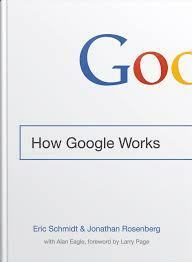 – Very interesting, how Google is very worried about information not flowing up and sideways. How would a very smart, well-capitalized competitor attack the company’s core business? How could it take advantage of digital platforms to exploit weaknesses or skim off the most profitable customer segments? What is the company doing to disrupt its own business? So forgo conventional wisdom, crank up that imagination, and ask yourself what could happen in your industry in the next five years. But this is precisely why they should be asked—to keep the team uncomfortable. In ongoing companies there are always hard questions, and they often don’t get asked because there aren’t any good answers and that makes people uncomfortable. Vic got started on his social quest by asking himself questions: What would it mean to Google when the dominant use of the web was as a social platform? Google+ is often positioned in the media as a competitive response to Facebook, but this isn’t quite right. It’s more accurate to say that Google+ is a response to the disruption of Web 2.0 and the emergence of the social web. It is the social fabric that weaves together Google’s various platforms, from AdWords to YouTube. The very nature of mature companies is to be risk-averse and to attack big change like a body attacks an infection. There is an alternative for incumbents, though: Develop a strategy that takes advantage of platforms to consistently deliver great products. So it seems to us that incumbent businesses have a choice to make. They can continue to operate as they always have, existing in a world where technology is something to be used not as a tool of transformation but simply to optimize operational efficiency and maximize profits. In a lot of these incumbent businesses, technology is that interesting thing run by that slightly odd group in the other building; it isn’t something that anchors the CEO’s agenda every week. And the impending disruption caused by new competitors entering their markets is something to be fought with battalions of lobbyists and lawyers. Although it might take a long time (and cost a lot of money), this dig-a-moat-and-bury-your-head-in-the-sand approach is bound to end tragically. The forces of technology and disruption are too powerful. So the incumbent that follows this strategy will eventually fail, or at the very least become irrelevant. Along the way, it will hamper customer choice and squelch innovation in its industry, because that is exactly its intent. Innovation means change; for incumbents the status quo is a much more comfortable place to be. As we enter the twenty-first century, we’re at a hand-off zone not unlike the one where the Western world went from a feudal economy to an industrial one in the nineteenth century. What’s different about today’s business landscape? What will happen next? And what can businesses and individual entrepreneurs do to survive and thrive during periods of disruption? There’s no doubt that the disruption of once-robust businesses and the resulting economic impact will be painful and confusing in the near term, so it would be irresponsible to end a book on building great twenty-first-century businesses without offering some advice about how to weather the changes ahead, and how to think about them. Several studies have shown that extrinsic rewards don’t encourage creativity, and in fact hinder it, by turning an inherently rewarding endeavor into a money-earning chore. Small failures should be expected and allowed, since they often can shed light on the right way to proceed. But when the failures mount and there is no apparent path to success (or, as Regina Dugan and Kaigham Gabriel put it, when achieving success requires “multiple miracles in a row”),196 it is probably time to call it a day. Learn from your mistakes: Any failed project should yield valuable technical, user, and market insights that can help inform the next effort. Morph ideas, don’t kill them: Most of the world’s great innovations started out with entirely different applications, so when you end a project, look carefully at its components to see how they might be reapplied elsewhere. As Larry says, if you are thinking big enough it is very hard to fail completely. There is usually something very valuable left over. And don’t stigmatize the team that failed: Make sure they land good internal jobs. The next innovators will be watching to see if the failed team is punished. Their failure shouldn’t be celebrated, but it is a badge of honor of sorts. Ship and iterate is easy when your product is entirely digital—software, media—and the costs of physical production are minimal. But not until the product had proven itself a winner did it get fed. In practice, ship and iterate means that marketing programs and PR pushes should be minimal at launch. Invest only when they get some lift. should not. To decide which efforts are winners and which are losers, use data. Create a product, ship it, see how it does, design and implement improvements, and push it back out. Ship and iterate. The companies that are the fastest at this process will win. So we have just the right amount of resources set aside for new ideas, we’ve muzzled the imperial managers, freed our geniuses to do their thing, and opened our minds to pull ideas from the masses. Most 20 percent projects require people to practice or develop skills outside of those they use on a day-to-day basis, often collaborating with colleagues they don’t regularly work with. Even if these projects rarely yield some new, wow innovation, they always yield smarter smart creatives. The most valuable result of 20 percent time isn’t the products and features that get created, it’s the things that people learn when they try something new. fact, 20 percent time is more like 120 percent time, since it often occurs on nights and weekends. Regardless of when you take your 20 percent time, assuming it doesn’t get in the way of doing your regular job, no one can stop you from doing it. And 10 percent isn’t a lot of resources, which is fine, because overinvesting in a new concept is just as problematic as underinvesting, since it can make it much harder to admit failure later on. Ten percent also works because creativity loves constraints. things that had a high risk of failure but a big payoff if successful. That started a lengthy discussion, the end result of which was that 70/20/10 became our rule for resource allocation: 70 percent of resources dedicated to the core business, 20 percent on emerging, and 10 percent on new. Second—and here is where thinking big comes in—a good OKR should be a stretch to achieve, and hitting 100 percent on all OKRs should be practically unattainable. The topic was a form of management by objectives called OKRs (to which we referred in the previous chapter), which John had learned from former Intel CEO Andy Grove.173 There are several characteristics that set OKRs apart from their typical underpromise-and-overdeliver corporate-objective brethren. Thinking big is not only a very powerful recruiting and retention tool, it’s contagious. There are rarely conflicts between the two, but when there are, our bias is toward the user. It has to be this way, regardless of your industry. Users are more empowered than ever, and won’t tolerate crummy products. Google, our users are the people who use our products, while our customers are the companies that buy our advertising and license our technology. This means that we will always do what’s right for the user, and we trust that our smart creatives will figure out how to make money from it. Yet here we were, a few weeks away from launching a major change to our core product, and no one had performed a detailed financial analysis. The product was obviously great for the user, so we all knew that launching it was the best business decision. companies that want to be innovative, which is to say all companies, need to start by creating an environment where the different components of creation are given free rein to collide in new and interesting ways, and then give these new creations the time and freedom to evolve and live, or—much more often—stagnate and die. But innovation stubbornly resists traditional, MBA-style management tactics. usually there’s a reason the market is empty: It’s not big enough to sustain a growing venture. Another element to consider is technology: How do you think the technology in the space will evolve? What is different now, and what further change do you expect? Do you have the talent to create sustainable differentiation within that evolving world? For something to be innovative, it needs to be new, surprising, and radically useful. To us, innovation entails both the production and implementation of novel and useful ideas. Since “novel” is often just a fancy synonym for “new,” we should also clarify that for something to be innovative it needs to offer new functionality, but it also has to be surprising. If your customers are asking for it, you aren’t being innovative when you give them what they want; you are just being responsive. In many ways, complex business partnerships are similar to the realpolitik style of diplomacy between countries, which holds that relations should be managed based on pragmatic, not ideological principles. Board members want to talk about strategy and products, not governance and lawsuits. Also, we are all technology optimists: We believe technology and the Internet have the power to change the world for the better. Google, our themes include putting users first, thinking big, and not being afraid to fail. In most aspects of life, you need to say something about twenty times before it truly starts to sink in.145 Say it a few times, people are too busy to even notice. A few more times, they start to become aware of a vague buzzing in their ear. By the time you’ve repeated it fifteen to twenty times you may be completely sick of it, but that’s about the time people are starting to get it. So as a leader you want to habitually overcommunicate. As Eric likes to say, “Repetition doesn’t spoil the prayer,” an axiom any Hail Mary–dispensing priest would second (or third, or fiftieth). Some of our best leaders have taken unusual steps to facilitate. Urs Hölzle wrote and published a “user manual”… about himself. Anyone on his team (which numbers a few thousand) can read the manual and understand the best way to approach him, and how to fix him if he breaks.143 Marissa Mayer held regular office hours—another cultural characteristic of early Google inspired by academia. Like a university professor, she set aside a few hours per week where anyone could come and talk to her. People signed up on a whiteboard outside her office (which she shared with a couple of other Googlers who usually decamped to other locations during her office hours), and on Wednesday afternoons the nearby couches were full of young product managers with some question or other to discuss. Eric calls our approach to transparency a “climb, confess, comply” model. Pilots learn that when they get in trouble, the first step is to climb: Get yourself out of danger. Then, confess: Talk to the tower and explain that you screwed up and how. So when you ask most lawyers to assess a situation, and if that situation is 99 percent good and 1 percent questionable, they will spend most of their time with you reviewing the questionable. Tom Peters would call Bill’s attitude in this situation a “bias for action,” and his book In Search of Excellence lists it as a top common attribute of the companies he studied. There is a point at which more analysis won’t lead to a better decision. This is the most important duty of the decision-maker: Set a deadline, run the process, and then enforce the deadline. Do your best to surface all potential dissent early in the process; there is a natural (and valid) bias toward rejecting dissent the later it surfaces in the decision-making process. They may be dissenters who are afraid to disagree with you in public (but need to get over that fear), or they may be of the shy but brilliant type. call on the ones who haven’t spoken up yet. Reaching this best idea requires conflict. People need to disagree and debate their points in an open environment, because you won’t get buy-in until all the choices are debated openly. bobbleheads have a nasty tendency to complain and whine and not do or support the very thing to which they just agreed as soon as they walk out of the meeting. The answer lies in understanding that when it comes to making decisions, you can’t just focus on making the right one. The process by which you reach the decision, the timing of when you reach it, and the way it is implemented are just as important as the decision itself. You obviously haven’t practiced your elevator pitch. Work on it. Your pitch should explain what you are working on, the technical insight that’s driving it, how you are measuring your success (particularly customer benefit), and perhaps how it fits into the big picture. Know this and practice it so you can say it with conviction. The most interesting industries are those where product cycle times are accelerating, because this creates more chances for disruption and so more opportunities for fresh talent. In business, and particularly in high tech, it’s not enough to be great at what you do, you have to catch at least one really big wave and ride it all the way in to shore. When people are right out of school, they tend to prioritize company first, then job, then industry. But at this point in their career that is exactly the wrong order. The right industry is paramount, because while you will likely switch companies several times in your career, it is much harder to switch industries. Think of the industry as the place you surf (in Northern California the most rad waves are at Mavericks, dude) and the company as the wave you catch. You always want to be in the place with the biggest and best waves. This is why we would rather our hiring process generate more false negatives (people we should have hired but didn’t) than false positives (we shouldn’t have hired, but did). All the factors that make the right smart creatives great hires can make the wrong ones hell to fire: their intensity, their confidence, their fearlessness. So always keep in mind, from the outset, that the best way to avoid having to fire underperformers is not to hire them. that case, we usually advise them to stick around and continue to contribute at the company while they are working on their idea, and tell them that when they actually can convince us to invest, we’ll let them go with our best wishes (if not a check!). This is a hard-to-resist offer, and it has helped us retain numerous talented people. The loss of these people can have a big ripple effect, as they often inspire their followers to leave too. Because people seldom leave over compensation, the first step to keeping them is to listen. They want to be heard, to be relevant and valued. When you push them to rotate people off their teams, their inclination is to hang on to the Reese’s cups and M&Ms and get rid of the boxes of raisins. This may be good for them, but it’s bad for the company. It keeps the very best people, the ones you want to keep challenged and inspired, locked up on one team. This works great in a small program with entry-level employees, but it is difficult to create a structured rotation program across bigger segments of the company. So our approach has always been to encourage job movement, to make it as easy as possible, and to make it a standard part of the management discussion. The best way to retain smart creatives is to not let them get too comfortable, to always come up with ways to make their jobs interesting. The business world traditionally rewards people for being closer to the top (case in point: outrageous CEO salaries) or for being closer to the transactions (investment bankers, salespeople).108 But what’s most important in the Internet Century is product excellence, so it follows that big rewards should be given to the people who are closest to great products and innovations. This means that yes, the lower-level employee who helps create a breakthrough product or feature should be very handsomely rewarded. Pay outrageously good people outrageously well, regardless of their title or tenure. What counts is their impact. Top performers get paid well in athletics, and they should in business too. If you want better performance from the best, celebrate and reward it disproportionately. The urgency of the role isn’t sufficiently important to compromise quality in hiring. Many smart creatives (a majority, in our experience) are conflict-averse and have a hard time saying no. With committees, the rejection doesn’t come from an individual but from the more faceless committee. This small detail can have a surprisingly big calming effect on promotion rates. The process was designed to optimize for quality, not efficiency, and for control, not scale. Committees should have enough members to allow a good range of viewpoints, but should be small enough to allow an efficient process; four or five is a pretty good number. Besides, in the most effective organizations, who you work for matters a lot less than who you work with. When you tell people to have an opinion, though, you need to tell them what to have an opinion about. So we lowered the maximum to five, a number with the added benefit (at least for computer scientists) of being prime. Then we did some research and discovered that each additional interviewer after the fourth increased our “decision accuracy” by less than 1 percent. how many interviews they conducted, reliability (it’s amazing how many people think it’s OK to cancel interviews at the last minute, or not even show up), and quality and promptness of their feedback (quality of feedback declines precipitously after forty-eight hours; our best interviewers schedule time to enter their feedback right after the interview). We published these stats and let people not in the program “challenge” the incumbents and replace them if their performance was better. In other words, not interviewing was seen as punishment. With this program, interviewing became a privilege, not a chore, and quality increased across the board. The nice thing about meetings is that the higher up you are on the food chain, the less you have to prepare for them. On the other hand, it is easy for any company to double in size with great people. All it takes, as Larry often told us, is for each employee to refer just one great person. When you completely delegate recruiting, quality degrades. You can get great talent if you are willing to take a risk on people by challenging them to do new things. They will join you precisely because you are willing to take that risk. And those willing to take risks introduce the exact self-selection tendency you are looking for. “Googleyness” one of four standard sections—along with general cognitive ability, role-related knowledge, and leadership experience—on our interview feedback form. This includes ambition and drive, team orientation, service orientation, listening & communication skills, bias to action, effectiveness, interpersonal skills, creativity, and integrity. But keep an eye on the people who don’t; perhaps they aren’t quite the learning animals you thought they were. Create opportunities for every employee to be constantly learning new things—even skills and experiences that aren’t directly beneficial to the company—and then expect them to use them. This won’t be challenging for true learning animals, who will gladly avail themselves of training and other opportunities. Favoring specialization over intelligence is exactly wrong, especially in high tech. The world is changing so fast across every industry and endeavor that it’s a given the role for which you’re hiring is going to change. Yesterday’s widget will be obsolete tomorrow, and hiring a specialist in such a dynamic environment can backfire. A specialist brings an inherent bias to solving problems that spawns from the very expertise that is his putative advantage, and may be threatened by a new type of solution that requires new expertise. A smart generalist doesn’t have bias, so is free to survey the wide range of solutions and gravitate to the best one. For example, athletes can be quite passionate, but do you want the triathlete or ultramarathoner who pursues his craft all alone, or someone who trains with a group? Is the athlete solo or social, exclusive or inclusive? When people are talking about their professional experience, they know the right answers to these questions—most people don’t like a loner in the work environment. Jonathan used to keep a stack of résumés of the people he had hired in his desk, and when he was trying to close a candidate, he’d hand over the résumés and show the person the team she’d be joining. These weren’t just a cherry-picked group of Jonathan’s best hires, they were the entire set. When you hire smart creatives, some of them eventually smartly create opportunities for themselves outside the company. This is why we believe that hiring should be peer-based, not hierarchical, with decisions made by committees, and it should be focused on bringing the best possible people into the company, even if their experience might not match one of the open roles. Growth matters most. All big successes in the Internet Century will embody large platforms that get better and stronger as they grow. Incumbents clump together so that no one finds a fresher breeze elsewhere. But as Larry Page says, how exciting is it to come to work if the best you can do is trounce some other company that does roughly the same thing? The ecosystem matters a lot. The most successful leaders in the Internet Century will be the ones who understand how to create and quickly grow platforms. A platform is, fundamentally, a set of products and services that bring together groups of users and providers to form multisided markets.66 Platforms are increasingly (if not exclusively) technology based. So regardless of your business, there is a robust corpus of technical knowledge upon which the industry is based. Who are the geeks in your company? The guys in the labs and studios working on new, interesting stuff? Whatever that stuff is, that’s your technology. Find the geeks, find the stuff, and that’s where you’ll find the technical insights you need to drive success. Giving the customer what he wants is less important than giving him what he doesn’t yet know he wants. You will never disrupt an industry or transform your business, and you’ll never get the best smart creatives on board, if your strategy is narrowly based on leveraging your competitive advantage to attack related markets. technical insight is a new way of applying technology or design that either drives down the cost or increases the functions and usability of the product by a significant factor. So although your plan might change, it needs to be based on a foundational set of principles that are grounded in how things work today and that guide your plan as it shape-shifts its way to success. The plan is fluid, the foundation stable. Great people are often unusual and difficult, and some of those quirks can be quite off-putting. Once you identify the people who have the biggest impact, give them more to do. When you pile more responsibility on your best people, trust that they will keep taking it on or tell you when enough is enough. As the old saying goes: If you want something done, give it to a busy person. At the most senior level, the people with the greatest impact—the ones who are running the company—should be product people. You want to invest in the people who are going to do what they think is right, whether or not you give them permission. You’ll find that those people will usually be your best smart creatives. One last organizational principle: Determine which people are having the biggest impact and organize around them. Decide who runs the company not based on function or experience, but by performance and passion. – This is really interesting. Others, though, may feel more uncomfortable raising dissenting views, particularly in a public forum. That’s why dissent must be an obligation, not an option. Even the more naturally reticent people need to push themselves to take on hippos. For a meritocracy to work, it needs to engender a culture where there is an “obligation to dissent”. – Very good, and relates to The 3G Way’s candor and informality. This means that it’s OK, and sometimes better, for product managers to sit in a different location from engineers, as long as they can depend on regular work-process updates and detailed status reports to keep their finger on the pulse of their product. This is exactly backward; the steady state should be highly interactive, with boisterous, crowded offices brimming with hectic energy. Offices should be designed to maximize energy and interactions, not for isolation and status. Smart creatives thrive on interacting with each other. The mixture you get when you cram them together is combustible, so a top priority must be to keep them crowded. you need is the insight that your industry is transforming at a rapid pace, the guts to take a risk and be part of that transformation, and the willingness and ability to attract the best smart creatives and lead them to make it happen. Today’s work environment is radically different than it was in the twentieth century. As already noted, experimentation is cheap and the cost of failure—if done well—is much lower than it used to be. Plus, data used to be scarce and computing resources precious; today both are abundant, so there’s no need to hoard them. And collaboration is easy, across a room, a continent, or an ocean. Put these factors together, and you suddenly have an environment where employees, from individual contributors to managers to executives, can have an inordinately big impact. They were devised over a century ago, at a time when mistakes were expensive and only the top executives had comprehensive information, and their primary objectives are lowering risk and ensuring that decisions are made only by the few executives with lots of information. – This really sums up how Silicon Valley sees itself as a product-centered culture. The result of all this turmoil is that product excellence is now paramount to business success—not control of information, not a stranglehold on distribution, not overwhelming marketing power (although these are still important). Today, three factors of production have become cheaper—information, connectivity, and computing power—affecting any cost curves in which those factors are involved. As a seasoned executive in product management, he had plenty of experience in what’s known as the “gate-based” approach to building products, which in most companies entails a series of well-defined phases and milestones, governed by various executive reviews, that escalate slowly up the corporate food chain. – I don’t see how big corporations, even the well-managed ones, like AB InBev, Amazon, and Google, can really put this to practice. Startups will definitely always have the strong hand in innovation. They just have nothing to lose. Because if you hire the right people and have big enough dreams, you’ll usually get there. And even if you fail, you’ll probably learn something important. – Is this Eric Schmidt? Or Carlos Brito?